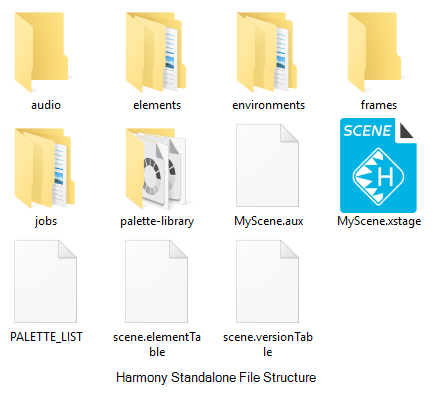 If the scene was exported from a Harmony Server database, this directory will contain the palettes and templates that were stored in the scene's environment. Otherwise, it is empty. If the scene was exported from a Harmony Server database, this directory will contain the palettes and templates that were stored in the scene's job. Otherwise, it is empty.